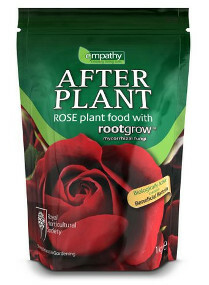 This offers lifetime benefits to treated roses, as it includes both Rootgrow mycorrhizal fungi and beneficial nitrogen fixing bacteria. It will rapidly produce natural plant growth promoting hormones, such as auxins. A dry granule product easy to apply at the beginning of the growing season then later in the year.